Werner Schroeter’s rhapsody of excess leaps from 1949 Cuba to contemporary France to points in between, while its feverishly shifting visual style evokes and parodies everything from kitschy Mexican telenovelas to silent French art films. 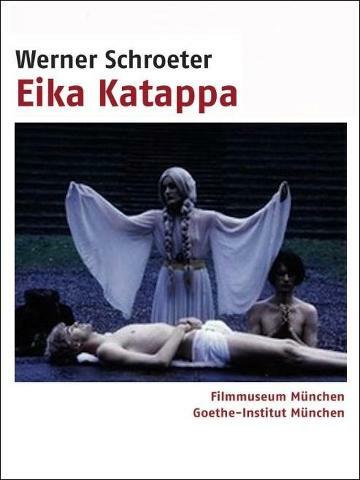 Werner Schroeter is one of the German new wave’s prophets without honour. He was too confrontationally weird to take his place alongside Fassbinder, Wenders and Herzog in the international distribution sweepstakes and the disturbingly freaked-out Nuit de Chien goes a long way to suggesting why. 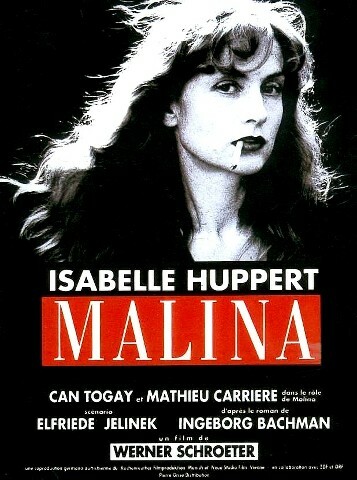 In “Malina,” the German film maker Werner Schroeter’s adaptation of a novel by Ingeborg Bachman, Isabelle Huppert portrays a writer who suffers from an interminable case of existential angst. 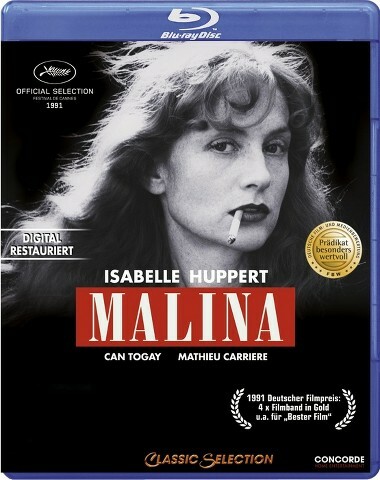 Isabelle Huppert’s unnamed character is a chain-smoking novelist who lives in Vienna with a calm and devoted male companion, Malina (Mathieu Carriere). Although attractive and successful, she is emotionally disturbed. 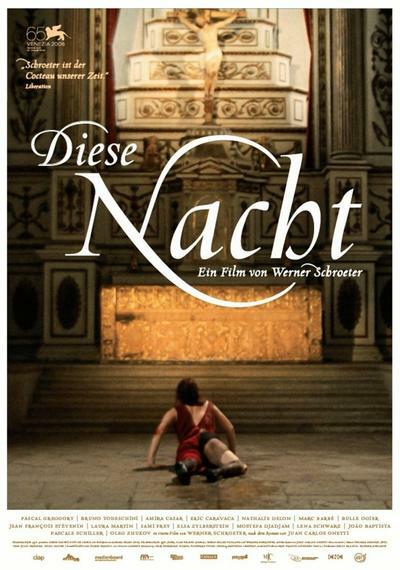 In the film’s opening scene, she has a vision of herself as a little girl being thrown to her death by her father from the roof of a building. 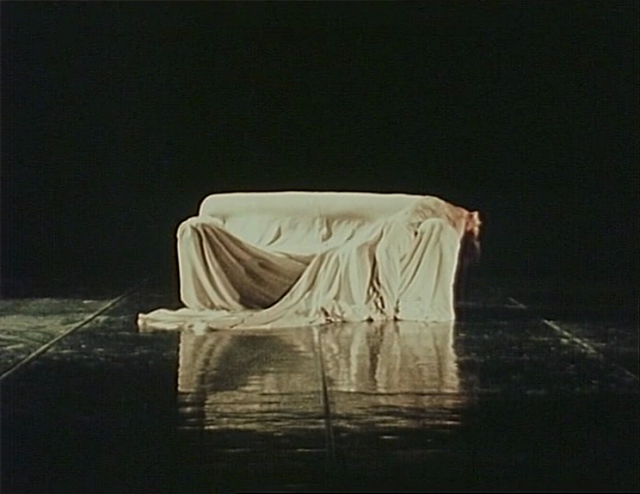 The father, a demonic figure, reappears in several expressionistic set pieces, sometimes to the accompaniment of operatic music. 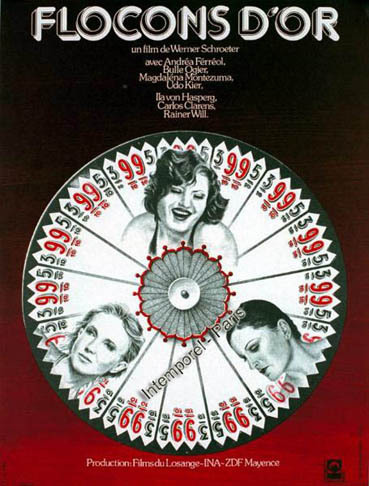 Werner Schroeter’s adaptation of a novel by Ingeborg Bachmann, Isabelle Huppert portrays a writer who suffers from an interminable case of existential angst.